The bridge camera remains one of the most popular types of digital camera, owing to its huge zoom lens, DSLR-esque handling and relatively compact proportions. There are several factors to consider before buying a bridge camera, including whether in fact a bridge is right choice for your needs. If you’re uncertain we highly recommend you read our in-depth Guide to Bridge Cameras first, just to be sure. One of the biggest things to consider is the variety of sensor-sizes the bridge category offers; though smaller sensors might do the job just fine in many cases, buyers looking to get the highest in image quality should consider aiming at one of the 1-inch sensor models to make sure they get the best bang for their buck. Canon’s enthusiast compact offers a compelling combination of a long zoom range and a relatively large 24-600mm equivalent 1in sensor. 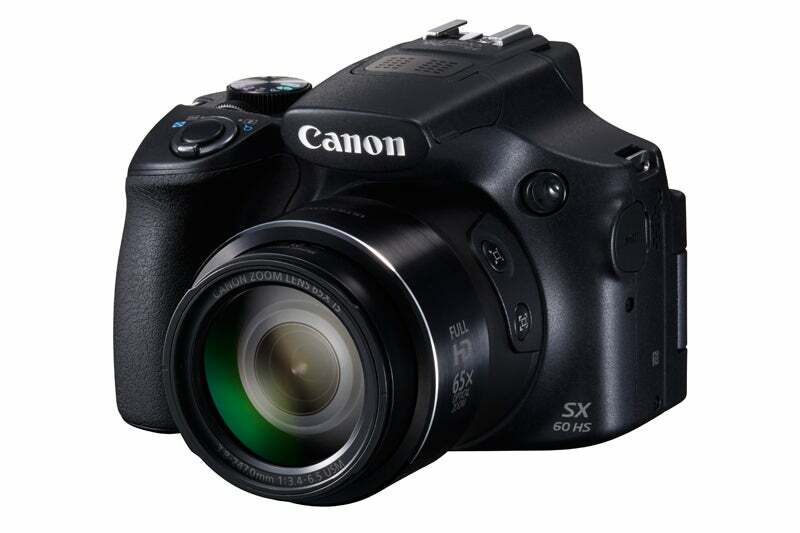 The G3 X uses a 20.2MP, 1in BSI CMOS sensor, and has an ISO range of 125-12,800. This Panasonic bridge offering has a whole host of enticing specs for a bridge camera. First of all, and perhaps most importantly, is a one-inch type sensor offering 20.1 million pixels. That makes it a close competitor to the excellent Sony RX10, but at a cheaper price. There’s also a longer zoom lens, at 25-400mm (equivalent), 4K video shooting, a 2359k-dot electronic viewfinder and inbuilt Wi-Fi and NFC. An excellent all-rounder. If you’re looking for some of the best value bridge cameras, it’s difficult to look any further than the Sony RX10 II, launched as the successor to the well-reviewed Sony RX10. The camera features the same 1in sensor as that in the acclaimed RX100 IV, while also featuring an impressive Carl Zeiss zoom covering an equivalent focal range of 24-200mm and with a constant f/2.8 maximum aperture. The result? A great shooting experience on one of the best superzoom compacts to hit the market to date. With the release of the RX10 III, prices are also dropping all the time, so if you can pick one up on the cheaper side, you definitely won’t be disappointed. As you might expect following its slightly older sibling, the Mark III version of the RX10 line of bridge cameras delivers some truly impressive specs for a camera of its size, with improvements across the board – particularly with its one-inch sensor and new Zeiss Vario-Sonnar T* 24-600mm f/2.4-4 lens that not only eclipses the range offered by previous RX10 models, but also edges ahead of the competition when focal range and aperture are considered. The result is extremely impressive, coming from what might be technically the best bridge camera ever made to date, appealing to still photographers and videographers alike. However, at its current price it does represent a pretty serious investment – although if you can afford it you won’t be disappointed. With a 65x optical zoom, there are few bridge cameras on the market which can compete with the SX60 HS when it comes to zoom functionality. The model also benefits from Canon’s DIGIC 6 processing chip, an EVF and full HD video capture, as well as both Wi-fi and NFC connectivity. It also retains the hot-shoe seen on its predecessor which is great if you’ve already got a Canon flash in your kitbag. Great value for money. Following up on 2012’s FZ200, the FZ330 offers a raft of handy features – a 12.1MP MOS sensor is backed up by wifi connectivity, a pretty good OLED viewfinder, 4K video and stills capabilities, and a 24x optical zoom lens from Leica. But the real standout feature is that unlike most of the sub-1in sensor offerings on this list it can shoot in RAW for maximum post-production options – and at a relatively affordable price. Nikon’s P900 represents the longest focal length available on the market – for the moment at least. The 83x optical zoom offers 24-2000mm in 35mm terms so you should pretty much every base covered. It also has a 1/2.3 inch 16 million pixel sensor. However it has no raw format shooting, which considering the price and intended audience is a tad disappointing when compared to others in this list.